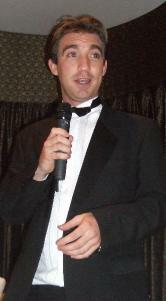 The Captain Scott Society's 'Spirit of Adventure' Award, 2010 has been won by Stewart McPherson. He will be leading an expedition of competition winners to Mount Roraima and the Guiana highlands this August for the Lost World Project. 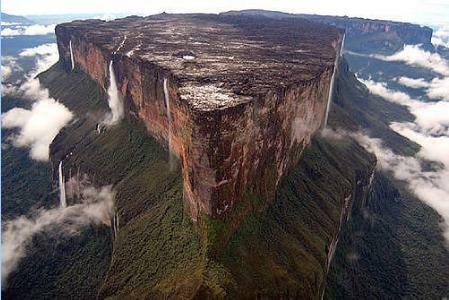 Mount Roraima is on the borders of Venezuela, Guiana and Brazil. Its 30 km2 plateau is bounded by 400m sheer cliffs on all sides. It has very British connections, having been first described by Sir Walter Raleigh (1596) and first climbed (1884) by British Explorers, Sir Everard F. im Thurn and Harry Perkins. It is believed to be the inspiration for Sir Arthur Conan Doyle's 'The Lost World' published in 1912. It also inspired the Disney Pixar film 'Up' (2009). The sheer inaccessibility of its rain-drenched plateau forms an eco-system that accounts for the presence of a delicate near-prehistoric collection of flora and fauna - many species being unique to the mountain's plateau. It is being increasingly plundered by a variety of commercial interests. The competition seeks to send ten young adults from across the UK to join an internationally acclaimed crew of professional documentary-makers who will travel to Mount Roraima via Venezuela and help shoot footage to feature in a fifty-minute, broadcast-quality documentary. The Lost World Project will then be premiered in London in December 2010, and across the UK from January 2011. 3. To act as a major fundraising mechanism for Ibex Earth’s Environmental & Conservation Partners during 2010.